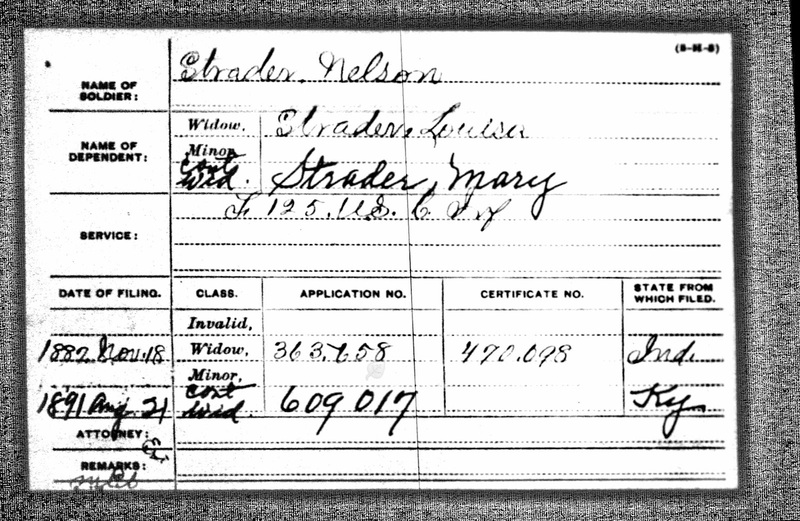 a3Genealogy: Where Are Veteran Pension Files? Most researchers know that they can order, from the National Archives, copies of military pension applications using form NATF85, “Order for Copies and Federal Pension or Bounty Land Applications. The key to successfully receiving your veteran’s copies is to clearly identify the soldier. 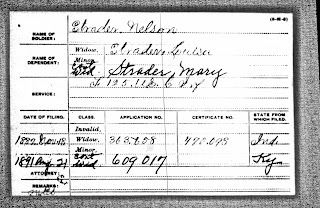 To assist in identifying your soldier, you may wish to use the NARA microfilm: T288 - General Index to Pension or ancestry.com digitized index. Know that the ancestry.com index is not complete due to poor quality of some original sources. But where do you go to if normal channels fail to produce the pension file or if more information is needed on your veteran? SO = survivor’s originals. These pension applications used by soldiers’ to claim wounds and illnesses, required further review. They were often rejected, and did not result in “certificates of pension” but if the soldier was deemed an invalid or eligible for a pension, the original SO number became void and the file was moved to the SC=Soldier’s Certificate series. The SC series was an active file for the life of the soldier. WO= widows original. If a soldier died, the SC file was no longer valid. However, dependents to include the widow, minor children or indigent parents could apply for a continuance of benefits (WO). Again this designation was for the reviewing period and once the benefits were approved, the file was reassigned to the WC= Widow’s Certificates series and the file was issued a new number. These files were consolidated with the soldier’s certificate files. If the extension of benefits was rejected no “certificates of pension” was realized. C=Certificates. The renumbering and reassigning of pension files became obsolete at the beginning of the 20th century. The SC files discussed above were reassigned to C files: C=Certificates. This designation replaced the Soldier’s Certificates and new pension applications of soldiers. XC= Certificates replaced the WC series used by widows, minor children and indigent parents. Using the Freedom of Information Act , researchers may retrieve these records by requesting a Beneficiary Identification and Records Locator System (BIRLS) search. It is imperative for the researcher to identify the C or XC file number since they are filed and searched by this barcoded number. These files are not filed or searchable by their individual wars but by the individual’s XC or C number. To initiate the process the researcher must write a FOIA request to the VA. If possible include the C/XC file number that may be located on the pension index cards. The next step is to wait. Remember not all veterans applied for pensions and not all files have been designated as public access files yet. An XC pension file may still be in the custody of the Department of Veteran’s Affairs, and not the National Archives. The National Archives holds many of the originals. These may be viewed at the NARA, ArchivesI in Washington DC. The Navy files are available on microfilm only. C and XC Pension Files for the Civil War, Rebecca, 15 May 2010. Great information! I was wondering how to gain access to these files and this helps tremendously! Thanks for sharing the info.